Combining your love for dining out on hand-carved, spit-roasted, Brazilian sirloin and the curbside egg sandwich you consume the morning after because, protein! 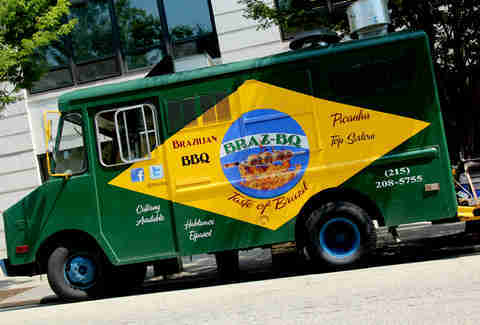 : the all-steak everything Braz BQ truck's hamburgao. 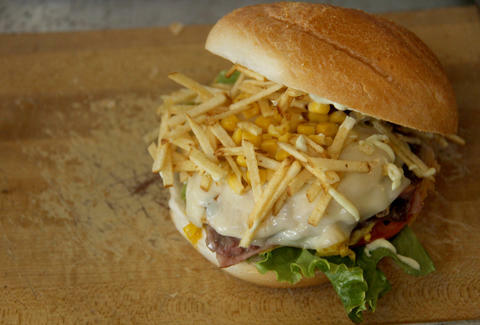 It's Portuguese for a quarter-pound of garlicky sliced beef smothered with every topping you'd hope to find in a Sao Paolo Five Guys, like smoked ham, sizzling bacon, melted cheddar, and a fried egg piled up with fresh corn, green onion, lettuce, tomato, potato sticks, and homemade mayo, all sandwiched inside a Kaiser roll. 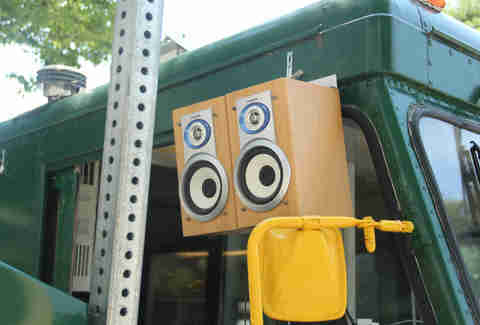 And you can score one with plain English along Drexel's food truck row from Philly's first four-wheeling churrasco rotisserie, cooked up by a Peddler's Village and Chima vet who hand-built the mobile rotating charcoal-roaster himself. 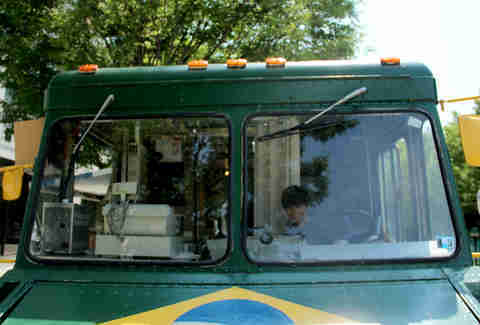 To find the Braz BQ truck, walk toward 33rd & Arch til you see a Brazilian flag. Then keep walking 'til it resembles this. 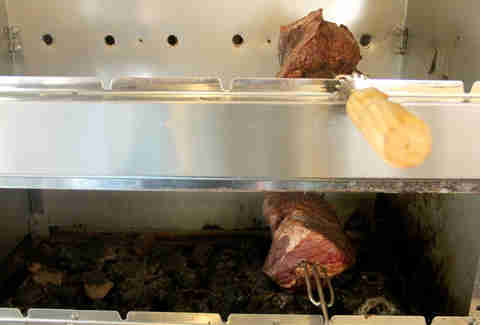 Inside, racks of 5lb sea salt- and garlic-rubbed churrasco roasts rotate over hot coals throughout the day. When you're ready to order a burgao, cheesesteak, or steak sliders (sense a theme? 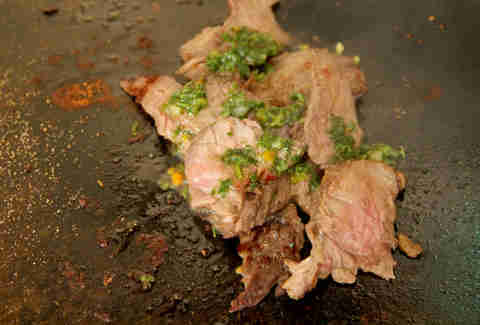 ), a skewer's stood up and the beef's carved 'til it drops to cook on the seasoned grill below. 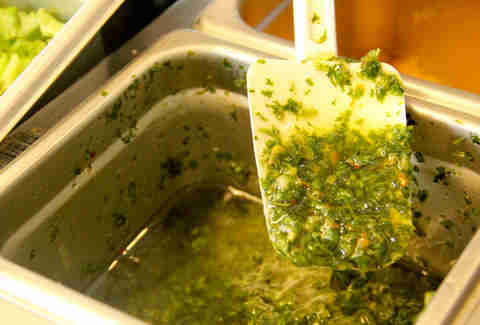 Also hot on that grill: the homemade chimichurri swiped over the steak as it cooks. Did we mention the steak wrap? No? 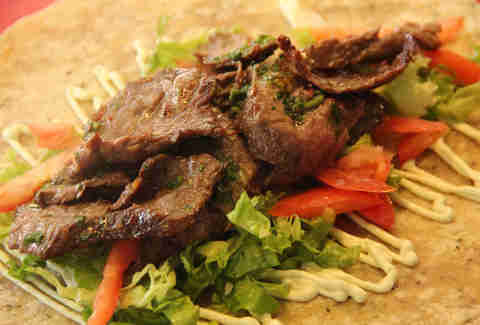 This is the steak wrap. 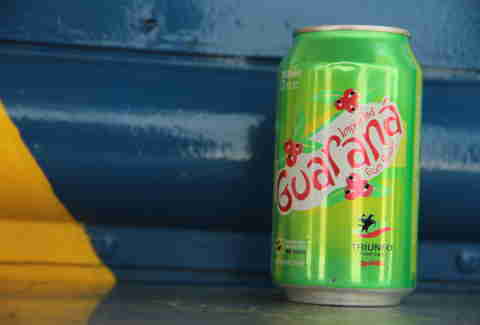 Wash it all down with a can of improbably not-steak Guarana, a Brazilian berry soda known to make people a little hyper. But not, like, 6yr-old-behind-a-steering-wheel hyper.